Relationships are said to be “hard”. People say relationships take “work”. and bad behavior or feeling bad is never part of the equation. Most times we hear about abuse from the angle of what’s done to us. We’ve got a 21st century lexicon of terminology created to describe what they’ve done… We’ve got new language to talk about what that person did and said to us, to use to determine if we’re used or abused. – Words our mom’s and grandma’s didn’t have. These are meant as proof that what they’re doing is really abuse. We call it love bombing, ghosting, Hoovering, idealizing, devaluing, discarding… They belittle us, lie to us, cheat on us, take our money, order us around, they make us cry, they do stuff that makes us mad, they break promises,it seems like they like to hurt us, they throw things at us, and so much worse and sometimes so much more indefinable. The problem with this view-point is, it makes their behavior the problem. Isn’t the real problem that we’re miserable? In friendships and work situations and in love… normal people stay. Normal people try when things are tough. And try more. That’s what normal, amazing, gorgeous humans are wired to do. It’s what we’re taught to do. There’s nothing wrong with us. There’s everything right with us. We can’t recognize the horror – the mortuary of a mind that sits inside a predator sociopath’s head until we see it in a particular and stark contrast to normal. We don’t see it until “normal” isn’t working to change any of the problems between us. — That’s normal. It takes as long as it takes. 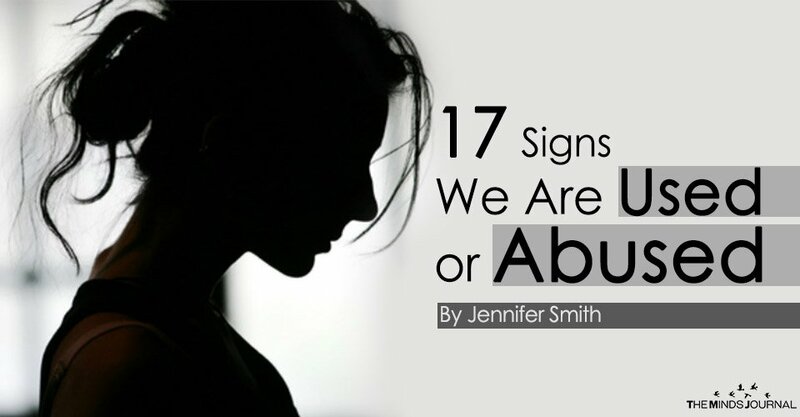 The tell-tale signs of abuse, or being used by someone who cannot love show up in more reliable ways than in the behaviors of the abuser. We can call them a narcissist, a narc, a narcopath… by any name they’re behaving as a sociopath and the fact is, abuse and predatory dynamics show up in messages from our bodies and in our emotions immediately. We just don’t always recognize them. The sooner we recognize these unfamiliar and confusing signals for what they are, the better chance we have of exiting a bad situation much, much sooner. This relationship, finding this person, life with this person feels lifted out of reality in the best way! Out at a restaurant, a party, even going grocery shopping with them feels like we’re living out scenes from a movie. Much to our own surprise, we feel we’ll die without them. In a dramatic figurative way… and kinda literally. We feel panic at the thought of never seeing them again. It happened like this: I sat a few feet from the con man. We’d known each other three days. I knew he had to fly back to his own country in a few months. At the thought of his leaving a surprising sense of panic that I’d never see him again roiled up from the pit of my gut… Surprised by a creeping dread rising to take me over, I pulled in a breath to ask, “When’s your ticket back?’” He paused, looked up from under his lowered brows, then uttered a date barely two weeks away. Tsunamis of emotion crashed together in my body. Profound all-consuming panic that I’d never see him again hit up against knowing this was an absurd way to feel, and a third thought: wondering why I panicked. But I got no answer. – Before I could get myself together, his voice, low and dark came through the fog, intimacy slicing my skin and dripping into my bones, “You’re afraid you’ll never see me again aren’t you?” Unrecognizable fear ran through me, all I could do was try to look normal. I felt small. There were no words I could say. I willed my head to make a single nod. I surprised myself again when a barely voiced, “Yaaaaaaa,” dribbled from my mouth on the one wisp of air left in my lungs. We were married four days later. He didn’t take that flight. We feel foggy. We wonder if things are what we think they are. We rationalize, make exceptions or excuses for their behavior and for how we feel. We change our ideas about what’s “okay”. We bend our idea of what a relationship “is” from what we thought before we met them.